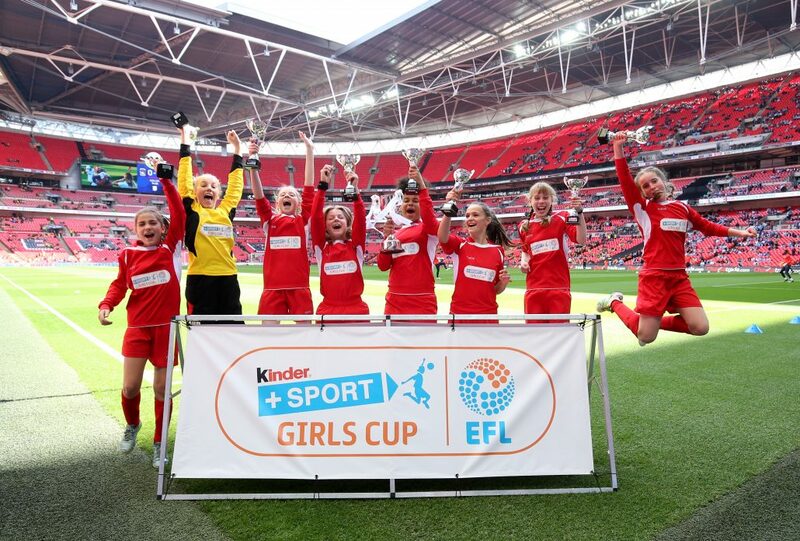 16 young footballers representing Bristol City and Shrewsbury Town had a once-in-a-lifetime opportunity of playing on the Wembley turf as part of the Kinder+Sport EFL Girls Cup. More than 6,000 girls have taken part in the six-a-side competition in 2017, that was organised on behalf of the EFL and EFL Trust, aiming to get children moving and promote active lifestyles. 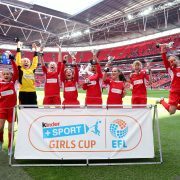 Each of the 72 EFL clubs hosted a tournament for their local schools, with the winners earning the right to represent their club and wear their colour on the road to Wembley. The winning representatives were then split into Northern and Southern sections, with the two regional winners playing at Wembley before the Checkatrade Trophy Final on Sunday 2nd April 2017. Encouraging children to be physically active and embrace the joy of moving, the Kinder+Sport programme is designed to promote active lifestyles through dynamic play and sports among children and their families, and has reached more than 4.1 million children in 25 countries to date. Ferrero also partners with the EFL Trust to deliver the Kinder+Sport Futsal Cup for the under-16 age group, which also encourages children to get involved in sport and physical activity.